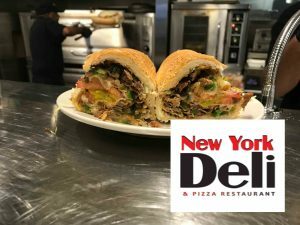 When you are in Williamsburg, especially the Lightfoot section, New York Deli and Pizza restaurant is a must stop for great made to order food that is family friendly. Many who are not local do not think Lightfoot when they are thinking of Williamsburg. It is the name for the outer area of Williamsburg. Many of the things both tourists and locals do occur in Lightfoot. Both the Pottery and the Wisc are in Lightoot. 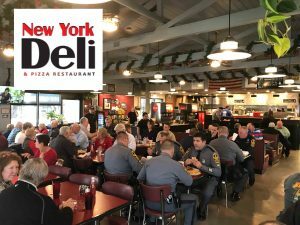 And of course so is the New York Deli and Pizza restaurant, right on the main drag going through this section. As a Lightfoot based deli we offer the best sandwiches in Lightfoot or Williamsburg, Virginia. Some of our more famous favorites are the Rueben (Rubin), the Steak n cheese, and of course the Hot Holly. 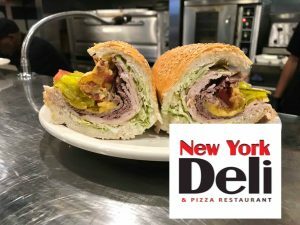 We offer lots more, but many a car has turned in right from route 60 to enjoy these marvelous family friendly meal items from the New Y ork Deli and Pizza. We also are the Light Foot go to for pizza. Our fresh made to order pizza is the favorite of locals and tourists alike. You cannot be family friendly in America and not offer great burgers in Lightfoot for the entire family. Whether you are looking for a juicy cheeseburger or hamburger, we are ready to please the whole family. In addition to burgers, we offer a very diverse menu of sandwiches and other entrees making us the ultimate family restaurant destination in Lightfoot, Virginia. So what are you waiting for? Come find out why we have been voted Best Of Williamsburg year after year.